A design brand like no other, BRABBU Design Forces need no introduction. With each design piece having a story to tell and create a unique sense of belonging and of being in harmony with ourselves, they are a reflection of a lifestyle. 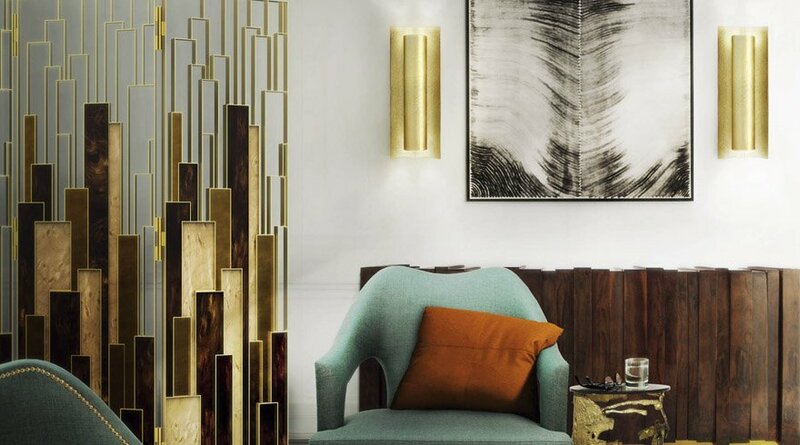 With a massive collection of designer furniture, exquisite lighting, gorgeous upholstery and distinctive home accessories, Brabbu succeeds in bringing out a fine balance between bold and elegant, traditional and contemporary; thereby becoming the first choice for designers worldwide. The Nº20 armchair is one of their most elegant design piece and clearly a bestseller. 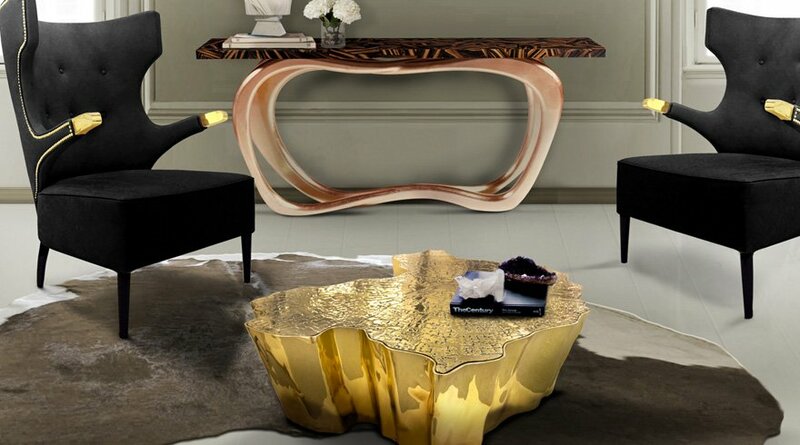 This modern living room furniture piece comes in a blue twill fabric, with golden polished nails in the back, exuding sheer luxury and class to your surroundings; and as intended, successfully brings out a graceful interpretation of Mother Nature. Another perfect center piece for any living room set would be the MAYA armchair, available in eight different colors. 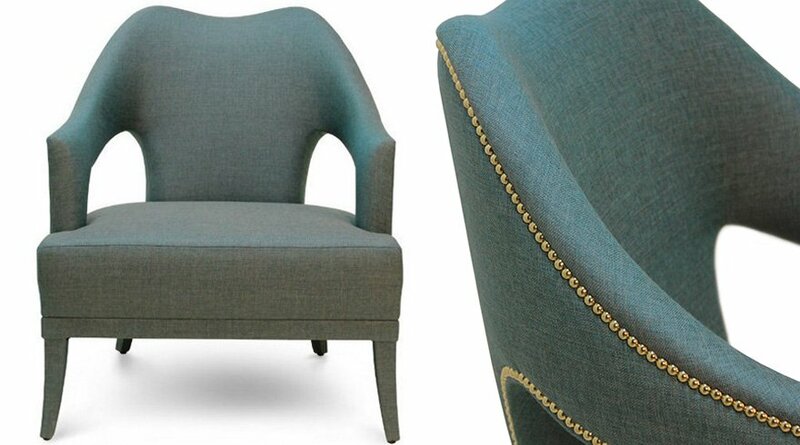 With aged brass legs and a velvet fabric, it is a pure delight in any surrounding. If you are looking for an art décor piece which is functional yet creatively beautiful at the same time, CAY side table makes for a worthy buy! Just as beautifully handcrafted is the KOI side table. 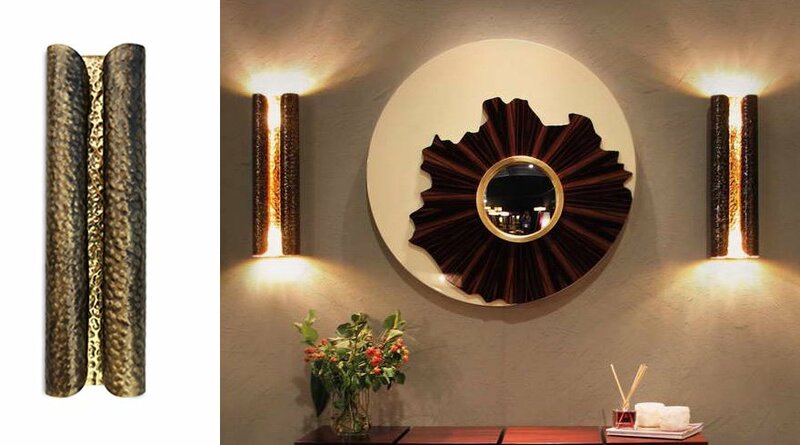 Crafted in brass and with table tops in marble or glass, it is an exquisite piece of décor. As for their lighting pieces, the VELLUM wall lights are epic! Contemporary in design and pleasing to the eye, the hammered aged brass adds a striking finish to this product. 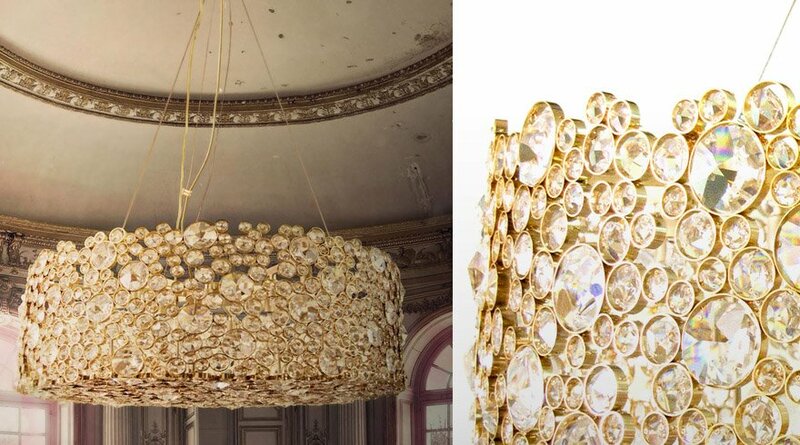 Brabbu also collaborates with Boca Do Lobo, to create exclusive luxury interiors passionately handcrafted in Portugal. 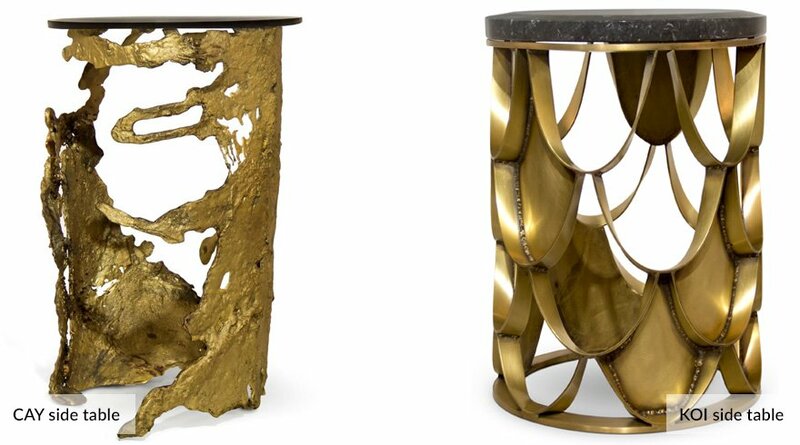 This EDEN center table made of polished casted brass exudes an environment of extravagance, and is sure to make a striking centerpiece in any surrounding. My personal favorites would be the wildly elegant SIKA Armchair by Brabbu, pictured above, and the ETERNITY chandelier by their partner company KOKET. It is absolutely stunning and definitely a masterpiece which will capture all eyes! So go ahead, browse through this collection at Fabiia or give us a call to find out more! This entry was posted in Coffee Tables, Fabiia Ideas, Fabiia News, Furniture, Interior Design and tagged Brabbu, handcrafted furniture, Lighting, residential furniture. how much is the koi table and the Cai side table? Thank you for your enquiry. Our team sent the price to your email id.